Plain talk about our faith is hard to come by. Theologians often talk above our heads, their language remote and obscure. Pulpit talk wanders into a different kind of obscurity. It is not remote or esoteric; it is specialized. There is often a disconnection between the language of preacherly admonition and the ordi-nary field of discourse of where we live each day. My writing is driven by the conviction that we can talk and that we need to talk about our faith in ways that are straightforward and open.… If straight talk teaches us anything about our faith, it should cause us to face up to a mountain of bad religion. Digging out of the debris of bad faith requires patience and courage. This book is about whether faith makes sense and whether we can lay claim to a life of devotion without the nonsense of a good deal of our popular religious rhetoric. I believe we can find our way toward a faith that enlightens and sustains, a faith that lifts us up instead of putting us down. —from the preface This book will challenge you, comfort you, chasten you, confirm you, change you. 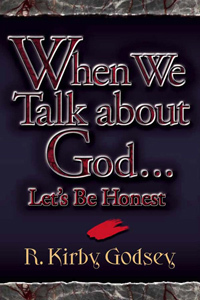 Read it slowly; be honest when you talk about God, and the truth will set you free —Ferrol A. Sams,Jr., M.D. Author of Run with the Horseman, The Whisper of the River and When all the World Was Young Kirby Godsey tells us things our preachers should have told us when we were growing up but often didn’t” ––Will D. Campbell Award-winning author, whose works include Brother to a Dragonfly, Forty Acres and a Goat, The Glad River, and The Stem of Jesse.